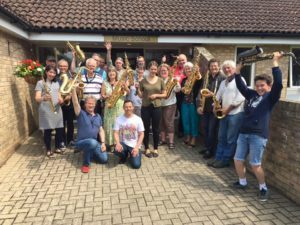 Two day jazz improvisation workshop – 27th / 28th April 2019. This workshop is now in its fourth year and sells out every time so please book your place early to avoid disappointment. 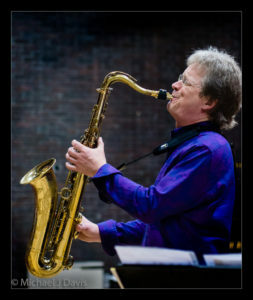 We also have on the Saturday sax repairer extraordinaire David Griffiths (Griff). He can take a look at your saxophones and discuss any issues/fix them for you. If you need any extensive work done it’s best to book it in beforehand, email us at info@jazzsmart.com to reserve your spot. Please note: The work/payment is between you and Griff directly. Based again at Durlston Court School on the Dorset / Hampshire border, with excellent facilities in a purpose built music block, the weekend is a must if you enjoy and want to improve your jazz phrasing and improvisation skills further. Priced competitively at £135 for two days including a hot lunch, and hot and cold refreshments. We cater for needs such as vegetarian, gluten intolerance etc. We have now set it up for you to be able to book easier than ever before. Book via ticketsource fast and securely. Please check out our guide below which may help answer some common questions. Alternatively if you have any questions on the suitability of this course for you we will be happy to help. Contact at info@jazzsmart.com or by calling 07708 091675 and we will be happy to discuss your needs further.